The Cleveland chapter of the Women's March has denounced all forms of discrimination and distanced itself from the national face of the Women's March, as charges of anti-Semitism roil the organization. "Women's March Cleveland does not condone anti-Semitism, racism, bigotry, sexism, Islamophobia or any other forms of discrimination, and we urge our Jewish sisters in greater Cleveland and elsewhere to march with us," Women’s March Cleveland organizer Kathy Wray Coleman stated in a news release. Coleman emphasized that Cleveland Women's March believes the event should be a purely political demonstration, free from racism. "Jewish women are our sisters," said Coleman. "And we have to work through this because … there’s a larger issue at stake in terms of what’s happening in D.C., and what’s happening in terms of policies with respect to the president." The Cleveland march also invited members of the National Council on Jewish Women Cleveland and other Jewish women to speak at the march, in solidarity with Jewish women. Susan Bro, mother of Heather Heyer, the Ohio woman killed while counter-protesting at a Charlottesville, Virginia, white supremacy rally in 2017 is also slated to speak at the march. 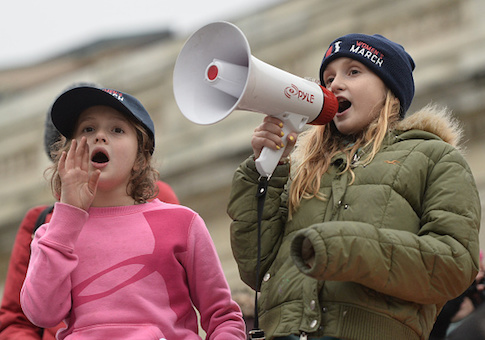 After accusations of anti-Semitism against march leaders emerged in 2018, Women's March chapters in cities across America distanced themselves from the organization. Chicago, New Orleans, and Eureka, California canceled the march, citing community backlash. "The controversy is dampening efforts of sister marches to fundraise, enlist involvement, find sponsors and attendee numbers have drastically declined this year. New Orleans is no exception," New Orleans organizers wrote on Facebook, before cancelling the event. "When a handful of leaders … say something, they are not speaking for an entire movement," the Chicago leader of the March told the Chicago Tribune, before citing costs as the reason for canceling. In 2017, about 15,000 people showed up for the first Women's March Cleveland. That number dropped by about one half in 2018, with only 7,000 coming out. This entry was posted in Issues and tagged Ohio, Women, Women's March. Bookmark the permalink.